About a month ago, while looking at the TripAdvisor website, I came upon a startling — to me, at least — discovery. 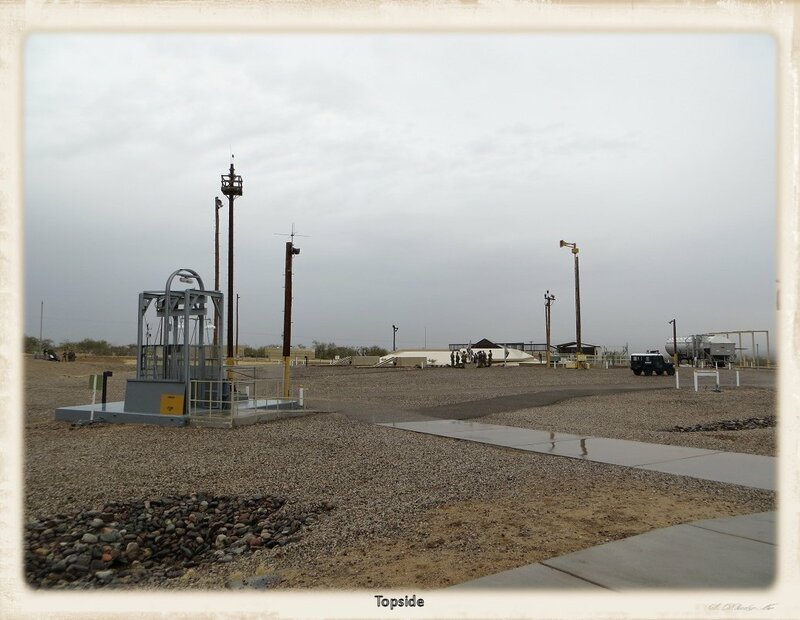 There had been 18 active intercontinental ballistic missile silos in and around Tucson, Arizona from 1963 to 1982. That coincides with the period when I was growing up not too far from Tucson. And when I moved to Tucson to attend the University of Arizona, I was sitting right on top of them. There were actually 54 Titan II missile silos in all: 18 around Tucson, 18 around Wichita, Kansas and 18 around Little Rock, Arkansas. After they were decommissioned, the missiles were deactivated, dismantled and sold for scraps and all the silos were imploded, smoothed over, and sold to the general public. Except one. 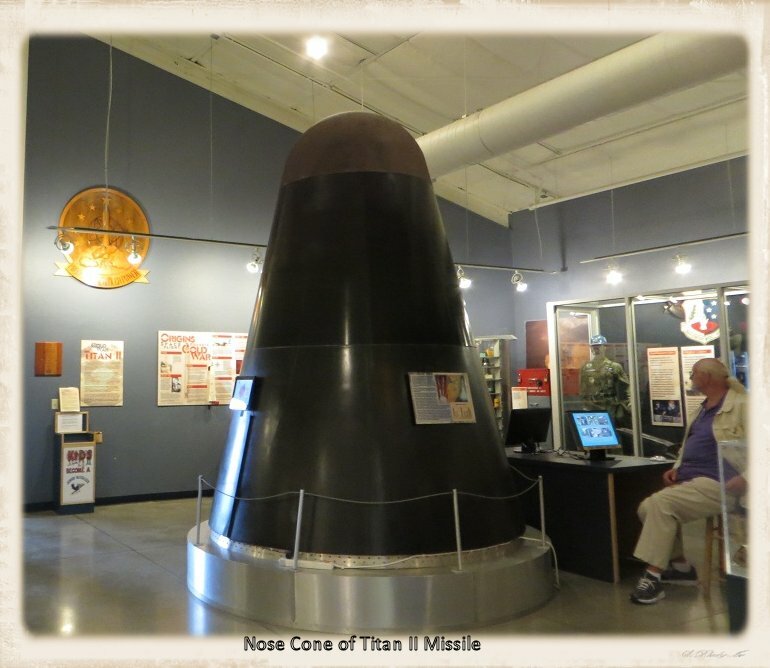 That one was a few miles south of Tucson and is now the Titan Missile Museum. So I dragged my Dad out again — the price of being father to a History Tourist — to see it. He claims not to have known about the missile silos either, even though he was a soldier stationed at an army base nearby. Titan II was the largest intercontinental ballistic missle ever made by the U.S. (the Soviets had the largest in the world). It could deliver a 9-megaton nuclear warhead to targets more than 10,000 km away in about 30 minutes. The effect of the warhead, a tour guide would tell us, would make Hiroshima seem like a picnic. While my family, living a few miles away, didn’t know about the missiles, the Soviets did. They were, in fact, invited to inspect them regularly. See what we’ve got? Send one our way and we’ll send this yours. We had to take the tour to see the facility. There was a small exhibit and gift shop to look at while we waited. The tour started with a film of a tour. It sounds odd but it was actually very helpful. It gave the basics on what we would see — so that our tour guide could just augment the information with some interesting details — and also showed the parts of the silo that we wouldn’t visit. There were two tour guides, one actually giving the tour and the second to round up the laggards (that would be me). Both were volunteers and retired airmen. As we left the room, anyone over 5’10” was told to grab a hard hat, to protect themselves from low doorways and random pipes in the silo. Then we went outside. The gray, steel contraption on the left of the photo above is the elevator. The silo goes down about 150 feet and we’d get to the bottom via several flights of stairs. Those who couldn’t climb could take the elevator. We made our way through several 6000 lb doors and down some corridors. 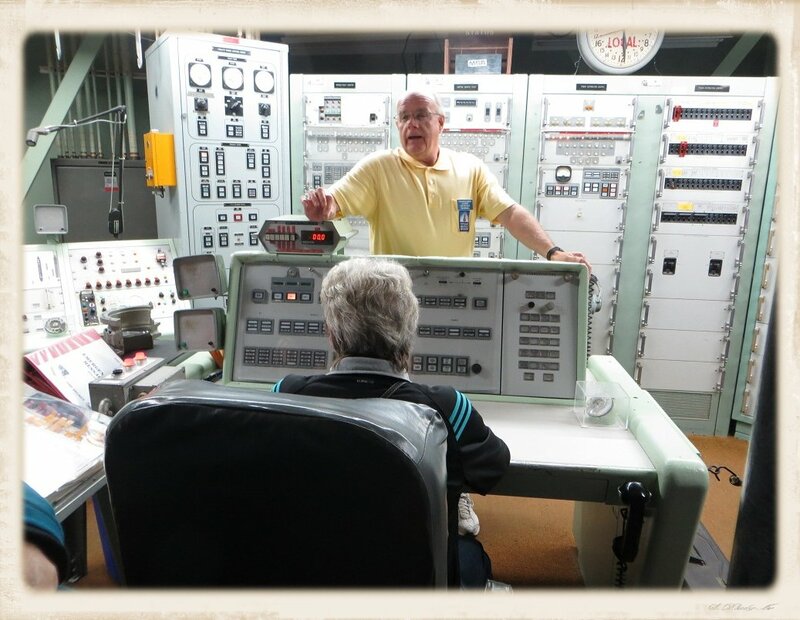 The command center was the heart of the silo. There, they took us through a launch sequence. It started with a phone call from the President, and ended with two people turning two keys simultaneously to launch the missile. It took 58 seconds to launch. There were four people on the crew — two officers and two enlisted — who worked 24 hour shifts. Two of them (one officer and one enlisted) had to be in the control room at all times. There were three targets programmed into the system and none of the crew knew what any of the targets were. And that information continues to remain classified today. The guide asked for a volunteer to be mission commander. She got to sit at the console and turn one of the keys. But before she did, he gave her a very long number and asked her its square root. I can’t remember what he was talking about at the time — it could have been velocity. “A really big number,” she guessed. “The only person who came anywhere close to the correct answer,” the guide said, “was Bill Gates.” He’d visited the site the previous May. 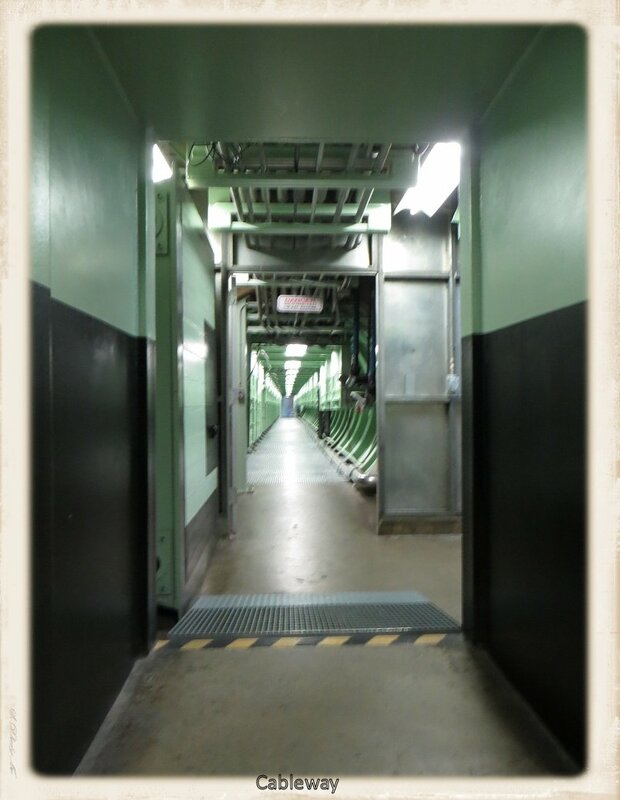 After the launch, we went down a long cableway to the launch silo. The museum had installed windows in the silo so that we could see the missile. After we gazed at the missile from the bottom, we went topside for questions. Someone mentioned that they had see an episode of a television reality show where a survivalist bought a silo and turned it into his home. It couldn’t have been a Titan II silo, the guide said, because this was the only one that hadn’t been imploded and covered over. Someone else mentioned a Star Trek movie. One of them had been filmed there. We were allowed to wander around topside once the Q&A session ended. There are fueling vehicles, engines and other missile parts to see. There’s also a glass sunroof, through which you can look down into the silo. That’s how I got the first picture on this blog. Everyone we met at the museum was a volunteer and former military, and they knew their topic inside and out. In fact, the second guide on our tour — the round-up guy — had been a mission commander at this silo. 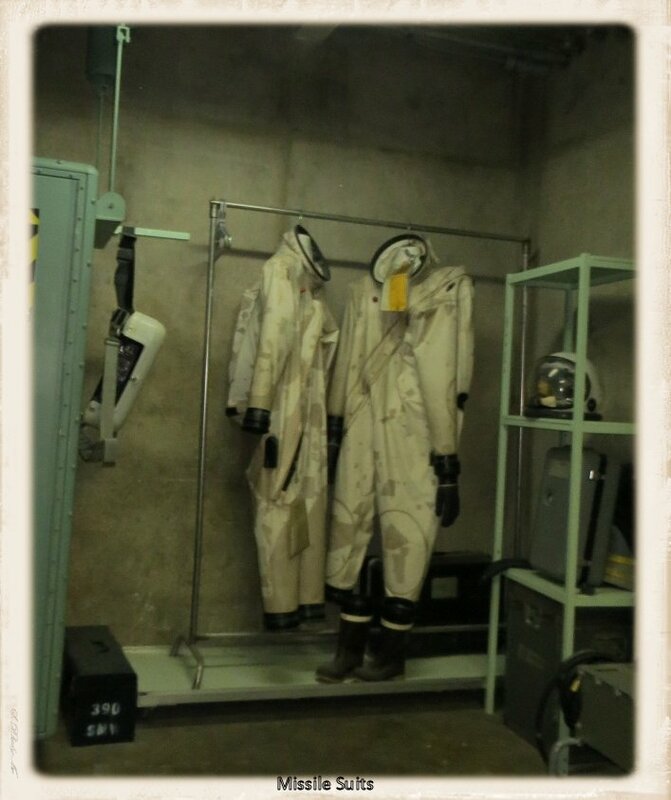 The museum is run by the nonprofit Arizona Aerospace Foundation. The Foundation also owns the Pima Air and Space Museum in Tucson, one of the largest aviation museums in the world and well worth a visit. 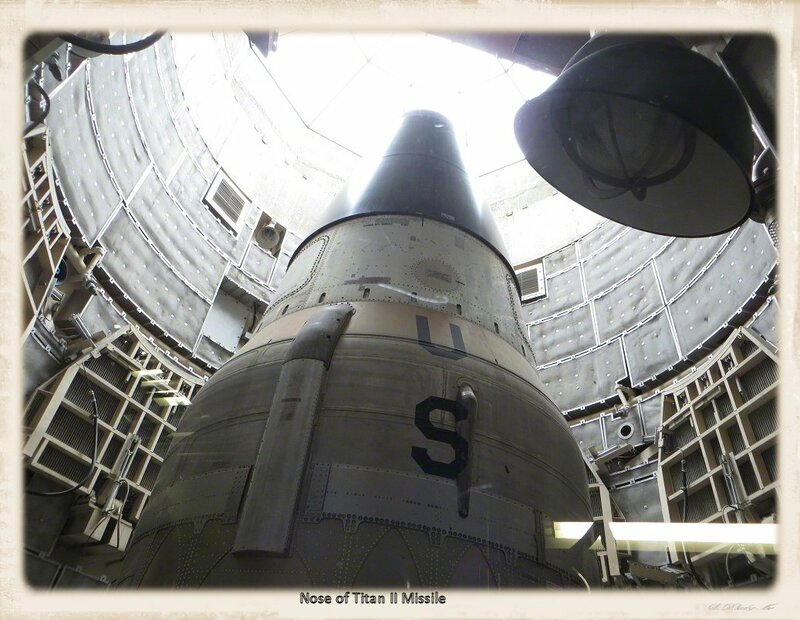 Gallery | This entry was posted in Arizona and tagged aviation history, Titan II, Titan II missile silo, Titan Missile Museum, Tucson. Bookmark the permalink. This is amazing. This very missile silo was directed at my people. I know I grew up not far from a similar contraption on the other side of the Iron Curtain, but, to my knowledge, there is still no museum on the other side. I wonder what is done to all of those sites. Maybe they’re still there. It’s all very scary, when I think about what could have happened. I visited here on a trip to Tucson in 2008, and found that tour very interesting! The docents really knew their stuff! Thanks for bringing back memories of a great trip. I can’t believe that this place has been open for so many years and I just learned about it. How fascinating and definitely spooky and spine-chilling. Was there any mention of costs? However many dollars times 54 can’t have been cheap plus all the staff to operate/keep guard on the missiles. 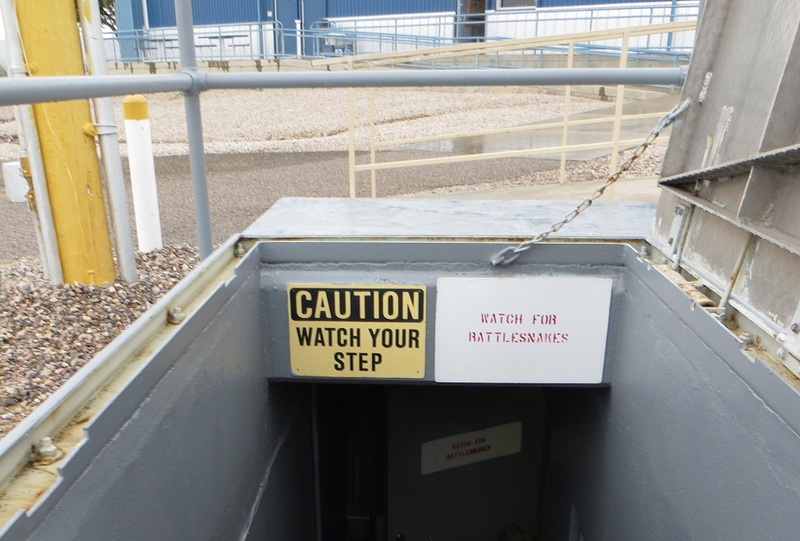 The rattlesnake sign isn’t very obvious – the watch your step one was much clearer. Dilemma, do you look down to watch your step, or up to look for rattlesnakes? 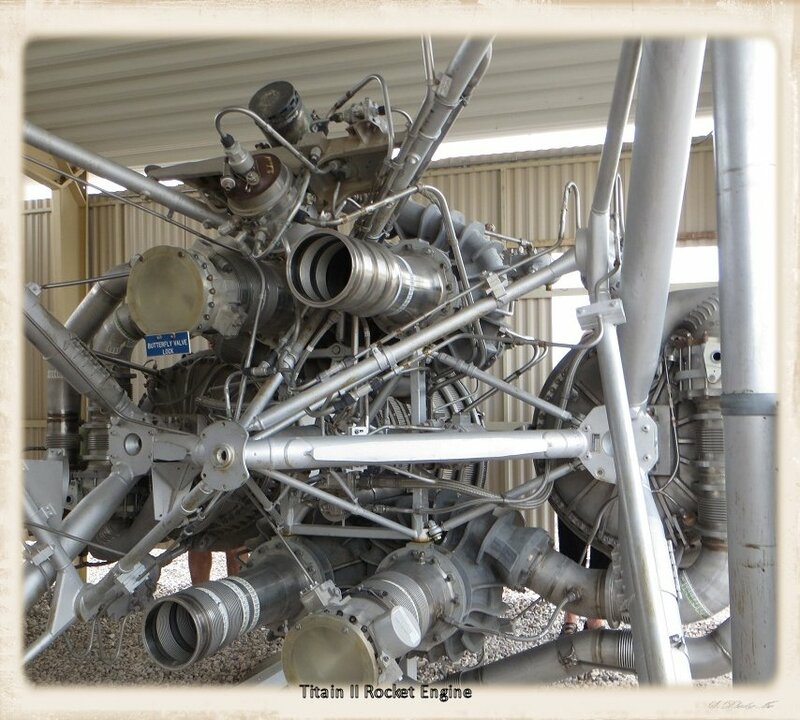 That rocket engine looks like a modern sculpture, you know the sort of thing made out of scrap metal! They didn’t mention cost on the tour (that I remember). But. 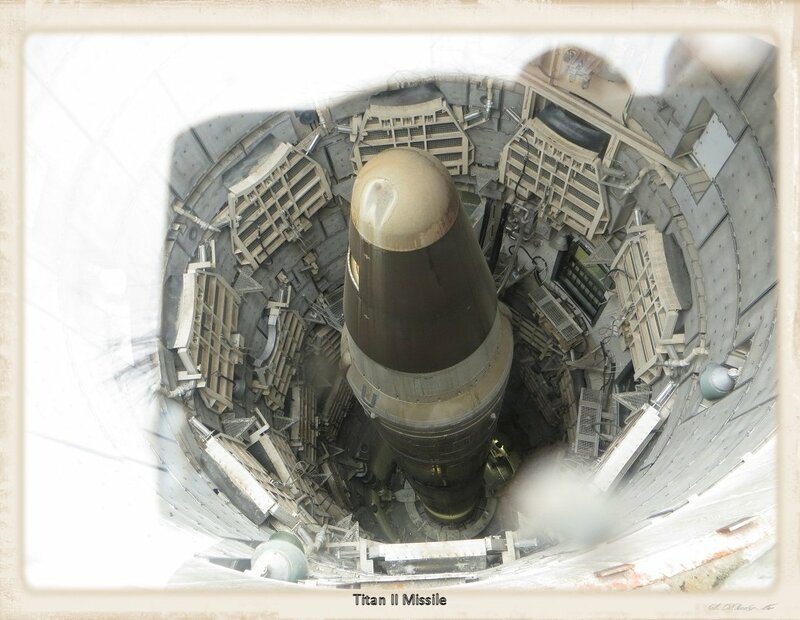 A Titan II missile exploded in a silo in Arkansas and and Arkansas history website maintained by Butler University said that it was estimated that it would cost about $200 million to rebuilt the complex. So they didn’t. There were rattlesnake signs all around the silo. So clearly, while they could and did do a lot to keep people out, the snakes got in with not much problem. Good post. I like the rather bizarre concept of a ‘gift-shop’! What can you buy there? A gram of plutonium enriched uranium perhaps? or a model of the missile to display in the sitting room? Yes, you can buy a model of the missile to display in your sitting room. And pens and pencils in the shape of a missile. And shirts with missiles printed on them. And a rather gruesome game in which you can try to blow up your opponent. Really creepy. When we lived there my father was working with a defense contractor doing something super secret out in the desert he was not allowed to talk about, even to us. Makes me wonder!! That could have been it.